In 1969 the Western movie enjoyed its best year in a decade before drifting off onto a side trail of American culture. There was “True Grit,” a traditional oater showcasing an Oscar-winning performance from the Western’s greatest star, John Wayne. The buddy movie “Butch Cassidy and the Sundance Kid” offered Paul Newman and Robert Redford with a mixture of ’60s-style irony and cool. Italian filmmaker Sergio Leone’s latest spaghetti Western, “Once Upon a Time in the West,” came over from Europe to roil the genre’s conventions. And there was director Sam Peckinpah’s “The Wild Bunch.” No one had ever seen anything like its opening and closing shootouts — bloody and balletic with explosions erupting and bodies flying in slow motion. Coming during the war in Vietnam and political violence at home, its visceral scenes overshadowed a multilayered story about loyalty and betrayal, sin and redemption, the past versus the future. Critics were divided over whether it was an outstanding film or the year’s worst. 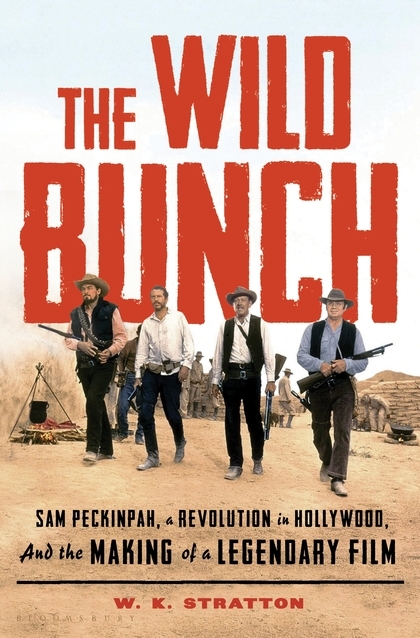 In his detailed and passionately argued history of “The Wild Bunch,” writer W.K. Stratton takes the debate to a higher level and convincingly positions the film as the best Western ever made — and among the greatest of movies. Stratton collects the kinds of elements required for a lively movie backstory: a talented if irascible director, quirky cast and crew members, a difficult location shoot and a controversial reception by moviegoers and critics. Best of all, he recounts how an idea becomes a film and the creative, economic and fate-driven roadblocks it faces. A stuntman, Roy N. Sickner, imagined a story about gringo outlaws robbing a train in the United States and escaping to Mexico, its climax a massive shootout. Screenwriter Walon Green drew on his own love of Mexican history and culture while shaping the story. Both Sickner and Green wanted their wild bunch to be tough outlaws who lived by a code of honor, the Mexico where they find love and death as free of movie cliches as possible. Stratton’s most interesting perspective comes in recounting how Mexican culture influenced the look, sound and feel of “The Wild Bunch.” Despite Peckinpah’s intentions, writes Stratton, many Latinos remain unhappy with its images.